If anyone comes to Me, and does not hate his own father and mother and wife and children and brothers and sisters, yes, and even his own life, he cannot be My disciple. Whoever does not carry his own cross and come after Me cannot be My disciple. Whosoever he be of you that forsaketh not all he hath, he cannot be my disciple. Throughout our Christian life a process of progressive sanctification takes place. Often this is called growing in grace, maturing in our spiritual life – discipleship. Christian discipleship is misunderstood today but is closely linked to sanctification. But if Christian discipleship is misconstrued – ones whole theology becomes distorted. Sanctification like justification and glorification is the gracious work of the Holy Spirit. Only believers can be sanctified, for God will never set apart the unsaved unto Himself. Oh! God may use an unbeliever to forward His sovereign plans and purposes, as He did with Pharaoh – but they can never be conformed into the image of the Lord Jesus. They can never gain spiritual understanding and maturity for that is the unique right and privilege of the body of Christ. Spiritual understanding is spiritually discerned. It is a beautiful, free gift of grace, which is extended to all who trust on Christ Jesus. It is only the believer in Christ that can be sanctified and set apart unto the Lord – BUT not all Christians are prepared to progress along the path to spiritual maturity – not all Christians grow in grace – and many simply remain in spiritual infancy all their lives. Only believers can be set apart to God – but not all will identify with the cross of Christ. Only believers can grow in grace – but not all will take up their cross and follow Him. Only believers can become TRUE disciples of Jesus – but not all will become disciples. 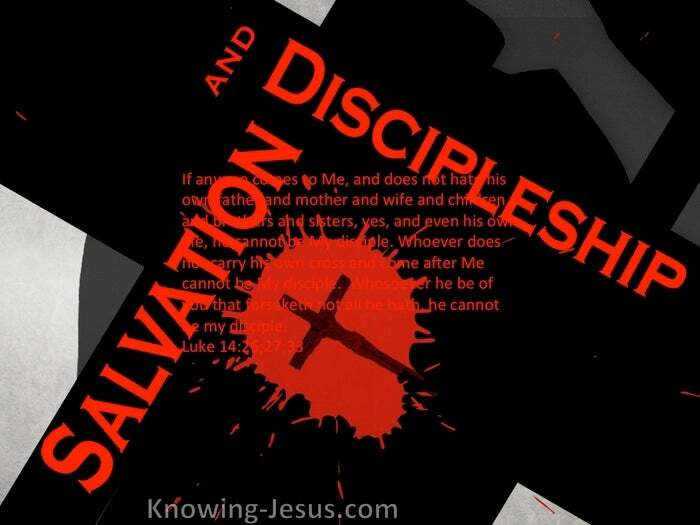 Discipleship is a kissing cousin to sanctification.. but NEVER initial salvation. The concept of discipleship is often misunderstood or misappropriated by Christians. Many think that getting saved means that we automatically become Christ’s disciple – but this is not what the holy scriptures teach about disciples or discipleship. A disciple is a learner – a proselyte – a man of woman who is a student or a pupil. A disciple is one that is an apprentice – a devoted follower of a great religious leader. Many of the Pharisees such as the teacher Gamaliel, had a group of faithful disciples, Indeed we read they often travelled the world to make one proselyte..one disciple: and when he became a disciple – they made him twice as fit for hell as they are. Christ also had a great following of disciples – those who were learning from Him. We read of 12 disciples and many women – secret disciples, like Joseph of Aramathea. Some who were called disciples were believers and others did not believe in Him. Some believed He was the Son of God like Peter, and were saved – some didn’t believe, like Judas and died in their sins. Some followed for a time – but found discipleship too hard a path and walked with Him no more. When seen in this general context a disciple is simply a learner – a proselyte… BUT When viewed as one called by Christ to become His disciple, to take up their cross daily and to give up all for the sake of Christ – it is a call to submission to all who believe on His name, and can never be seen in the context of Salvation. 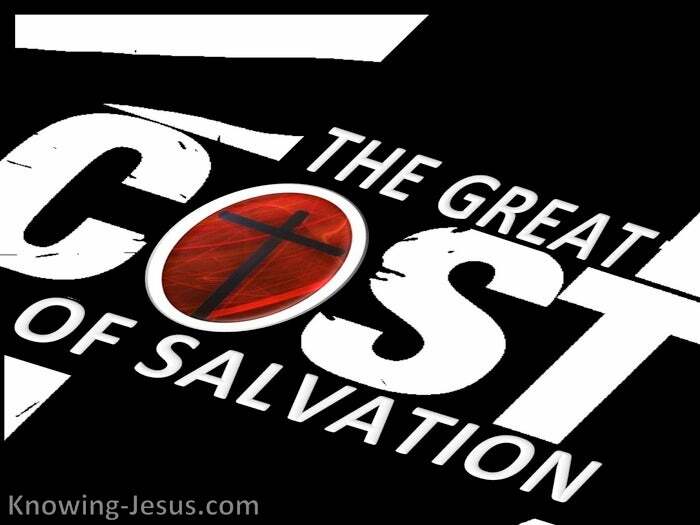 Salvation involves what God gives to us – His own life, not what we give to Him, for Salvation is by grace alone, through faith alone, in Christ alone, Salvation costs us NOTHING but it gives us EVERYTHING. Discipleship involves what we give to God – ourselves : our own life, but Discipleship is the choice of a believer and NOT a requirement of salvation. Discipleship will cost us something and it may even costs us everything. Remember, in Christ’s economy it is only believers who are called to be disciples and forsake all for Christ’s sake – but it is a free-will choice to live as unto the Lord and to submit to His guidance – but never a requirement of salvation as widely taught today. Throughout our Christian life a process of progressive sanctification takes place. Often this is called growing in grace – maturing in our spiritual life – discipleship. Let us be those that come after Christ and love not the things of this world. Let us be those who carry our own cross and come after Him. Let us be those that forsake all that we have – to become His disciple.. knowing what it cost our God and Saviour to redeem you and me.